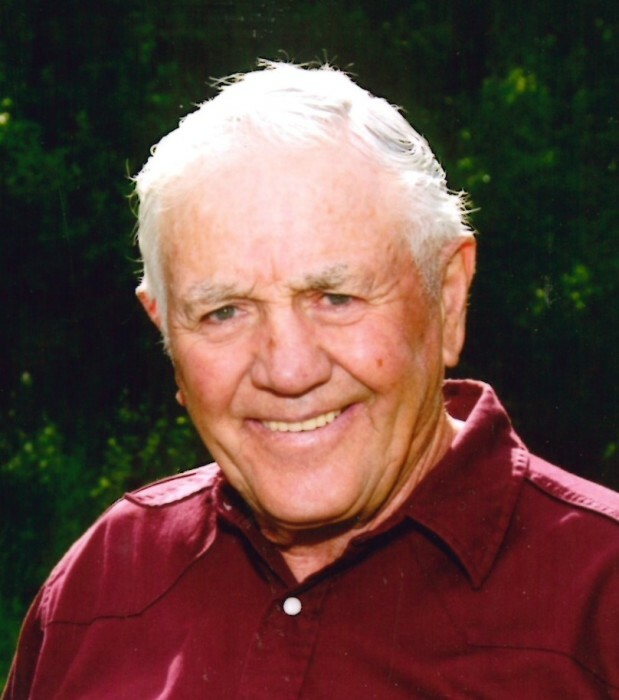 LaVall Edward Hirschi, age 82, passed away peacefully on January 14, 2019 surrounded by family. He died at EIRMC in Idaho Falls due to complications from a brain bleed. He was born July 25, 1936 in Montpelier, Idaho to Carl and Gladys Hirschi. LaVall grew up on the family ranch in Geneva, Idaho. He attended a two-room school house in Geneva and graduated from Montpelier High School 1954. He attended Brigham Young University and later graduated with a degree in Secondary Education from Utah State University in 1966. He served a mission for The Church of Jesus Christ of Latter-day Saints in the Central States Mission from March 1957-59. In 1959, he joined the Army Ready Reserve and served his country for six years. LaVall met his eternal companion, Nita Cheney, on a blind date in 1960. They were married in the Idaho Falls Temple on June 2, 1961. In 1966, they moved to Star Valley, Wyoming and he began teaching Social Studies at the high school. LaVall and Nita bought a farm in Grover where they raised their family—three daughters and four sons. He continued to work with his dad on the ranch in Geneva and later purchased the land. He loved his wife and family. He believed in hard work and served in a variety of positions in the community and Church, including 12 years as a temple worker. He also enjoyed hunting and fishing and spending time with his children and grandchildren. He is survived by his wife Nita; children Kerry (Garry) Bennett, Becky (Dave) Rasmuson, Rick (Suzette) Hirschi, Heather (Randy) Thompson, Wade (Erin) Hirschi, Heath (Bettijo) Hirschi and Kyle (Laura) Hirschi; 34 grandchildren, 15 great-grandchildren; and his brother Sherwood (Carol) Hirschi. Funeral services were held Friday, January 18 at the Grover LDS Church.